Sport is tough. 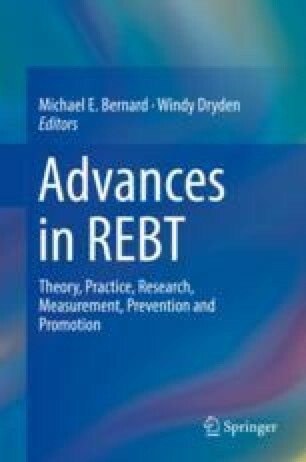 Amidst the highly demanding environment of competitive sport (Reardon & Factor, 2010), and the growing concern for the psychological wellbeing of athletes (MacIntyre et al., 2016), effective interventions for promoting mental health in athletes is a major concern in applied research literature. Sport psychology involves the application of psychological theory and methods to the understanding and enhancement of athletic performance and athlete wellbeing. The practice of sport psychology historically draws mostly from cognitive-behavioural approaches to psychotherapy. Known as “the canon”, the most prevalently reported techniques used in sport psychology are imagery, relaxation, goal setting, and self-talk. All four have obvious cognitive-behavioural routes, but rarely are the origins of these techniques recognized and referenced in sport psychology literature. Also, these techniques are often used as isolated “mental skills” in the absence of full CBT procedures. Therefore, whilst CBT should occupy a prominent place in the investigation and application of sport and exercise psychology, there is actually a dearth in literature reporting the effects of CBT with athletes. PA Sports. (2018, 3rd January). Playing every two days is killing us and FA must act, says Guardiola. TransferMarket.com. https://www.transfermarkt.co.uk/playing-every-two-days-is-killing-us-and-fa-must-act-says-guardiola/view/news/296642. Accessed 23 March 2018. Wood, A. G., Barker, J. B., Turner, M., & Sheffield, D. (2017). Examining the effects of Rational Emotive Behavior Therapy (REBT) on Performance Outcomes in Elite Paralympic Athletes. Scandinavian Journal of Medicine & Science in Sports. https://doi.org/10.1111/sms.12926. Accepted 5 June 2017.